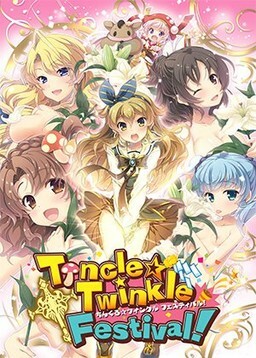 Title Tincle ★ Twinkle Festival! The St. Maradonna Girls’ School has a long unbroken tradition that originates from early back in the Showa Era. Once a year they hold a festival in school, one that should never be made public to the outside world. The festival is all about a secret ritual to bless the students with many children in their futures. The one with the best grades would be revered as the male god of the festival, responsible for granting everyone superior genes. Our protagonist’s sister however, does not want to be an object of worship and forces Seiji to take her place in school. And so, armed with make-up and a wig, he ends up crossdressing to attending an all-girls school. Seiji gets exposed almost immediately and before long the entire school knows about his secret (And incidentally, about the “thing” down there). Expecting his life to be over, he is surprised when they instead begin to respect his body… Wait, this can’t be happening right? Right!? 2015-11-27 18+ Tincle ★ Twinkle Festival! LunaOP "Kami-sama no Iu tori"